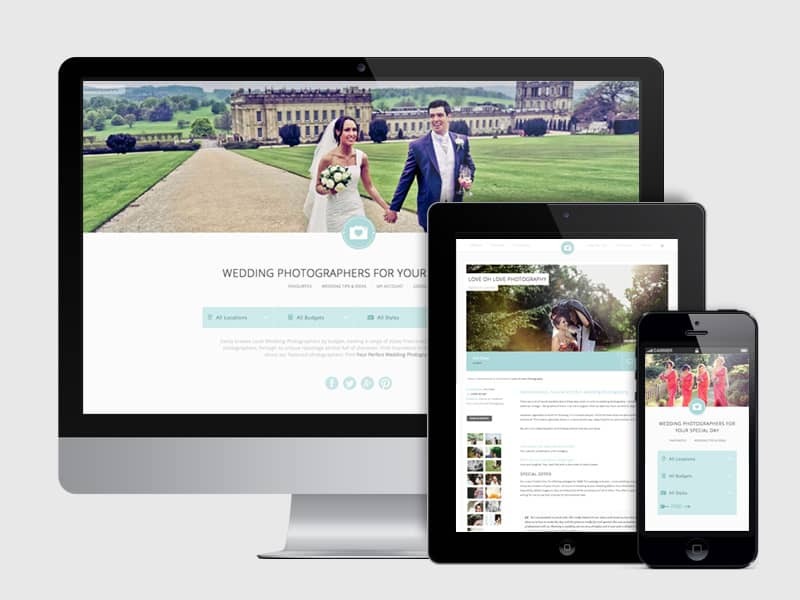 Ever wish you could find your perfect wedding photographer the easy way? Being able to search by location, style and price and being able to see examples of their work right there and then without having to trawl through tons and tons of different websites?? Well look no further my friend because there is a solution for you! Yourperfectweddingphotographer.co.uk is a fantabulous site designed especially for that. You can easily browse local Wedding Photographers by budget, viewing a range of styles from creative and contemporary wedding photographers, through to unique reportage photos full of character, or perhaps if you’re looking to add some fun with a Wedding Photo Booth you can find that too! Me & Emily absolutely love this website purely because it isn’t just your average wedding directory, it’s an amazing platform for photographers that offers so much more than just a website link, we were browsing through loads of wedding photographers and some of them even have special offers on their profile! Bonus! The best thing for us though is the fact that you can connect with that business on all of their social media right away! It’s a great way to make connections and provides you brides with so many easy ways to get in touch with so many awesome photographers! Sounds great doesn’t it? Why did you create ‘Your Perfect Wedding Photographer? We wanted to be different, we wanted to make it fun, easy and inspirational for brides and grooms to find their perfect wedding photographer, there are a lot out there, a lot of different prices, and a lot of different styles, so we wanted to make it a little easier to browse these. From a photographers point of view we wanted to showcase what they do best, their photos! A simple profile page that holds all their details and showcasing their work. For us the photos do the speaking and can help couples find what they want without them knowing what they are looking for! What do you offer to your clients? We offer photographers a clean modern profile page where they can showcase their work, our site is fully responsive so looks great on your phone, iPad and desktop. We showcase photographers to specific couples that match there criteria, so it is very targeted. We are not the only site out there that list photographers, however our aim has always been to be simple, easy and inspirational. We put the focus on the photos, they do the talking! We have our photo wall which could give you ideas of specific shots you may want taken, or styles. Why are you perfect for our readers? When it comes to your wedding day the one thing you will have for many years to come after their special day are memories and there is no better way to capture them then with photos, budgets should be maximised so that even after your amazing day you can look forward to seeing all those beautiful moments from the day which you can treasure forever. Our site helps to find that perfect photographer that matches their budget and style. What’s new for this year? Anything else exciting happening? We have lots of new features in the pipeline for 2014 but they are under wraps at the moment! Our site was launched in 2011 and each year it has had a bit of a redesign, so lets see what comes next year! We have however just launched Your Perfect Wedding Reception, we wanted to take the same great design and philosophy to wedding venues and receptions! So it will be a big year for this ‘little’ project in 2014! What are you waiting for?? Head on over to their website to find your perfect wedding photographer now! Or find your perfect wedding reception! You can also keep up to date with the team by following them on Twitter or liking them on Facebook! It’s nice to see these guys getting some recognition! Awww thank you very much Dale! These guys are great and, from a photographers point of view, very helpful to. If I hadn’t already found my wedding photographer before I found this site, I would definitely have used it! Very useful article, informative and practical.